Prefabricated, steel frame construction meets all cyclone and construction standards. 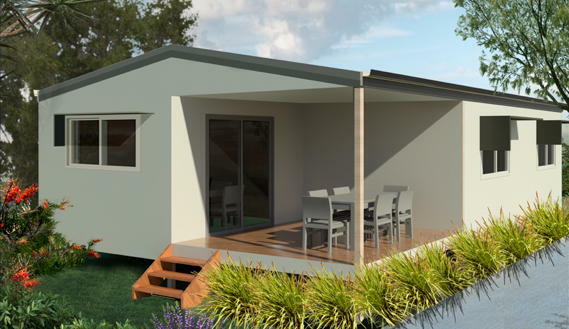 Aussiebuild 3000's 1 and 2 bedroom granny flats are complete and ready to connect to all services. We manufacture, road transport and crane lift onto your site. 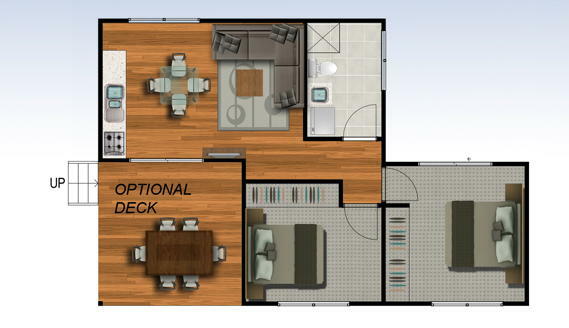 Whether you're after a one bedroom granny flat or a 4 bedroom house with double garage... there's a floor plan for your new home! Site by Come On Aussie.